Loomis Bros. Equipment Co. is your single source supplier for all your equipment needs. In addition to laundry processing equipment, we have a complete line of power plant equipment including boilers, water heating systems, ozone water treatment systems, water softeners, air compressors, heat and waste water recovery systems, refrigerated chillers, lint collection systems, and evaporative & refrigerated air cooling units. We sell and service the most reliable and respected brand names in the industry. Loomis Bros. Equipment Co. services all of the power plant equipment we carry plus many other brands. Our parts department and Resident Field Service Technicians are located strategically throughout our territory which allows us to respond quickly to your needs. This ensures quality service so your commercial laundry equipment is always running smoothly. Lattner manufactures vertical tubeless and horizontal firetube steam boilers (1.5 to 200 hp). 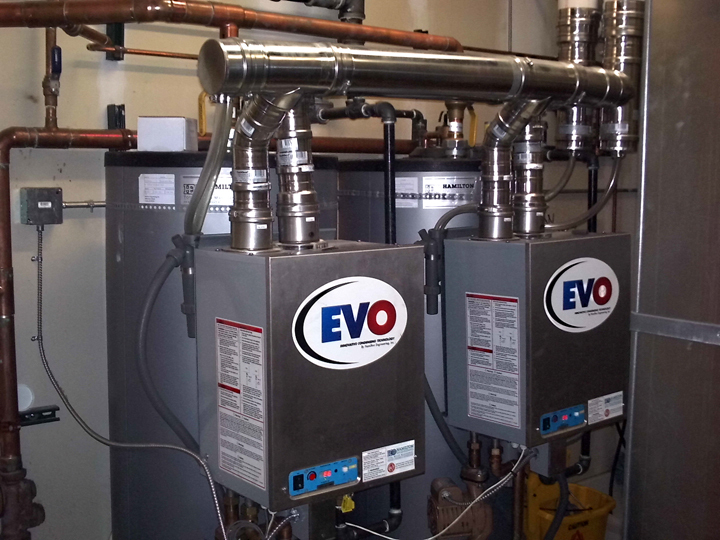 Hamilton Engineering provides commercial and light industrial water heating systems and whole-building hot water applications. NATCO has supplied advanced water heating systems to on premise laundries for over 50 years.